A report compiled by the Food and Agriculture Organization (FAO) and released last September by the United Nations estimates that about 1.3 billion tons of food are wasted around the world every year – that’s about one third of all of the food produced wordwide ending up in landfills. UNEP adds, “methane is 23 times more potent than CO2 as a greenhouse gas. 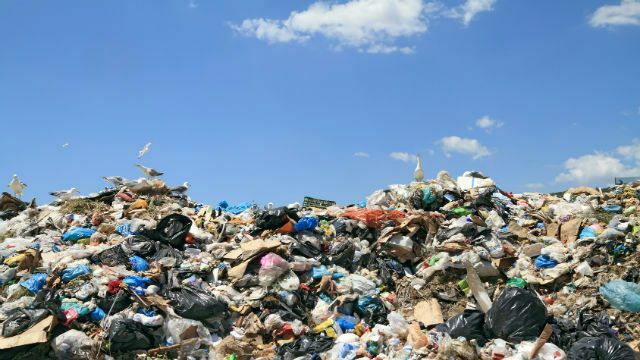 The vast amount of food going to landfills makes a significant contribution to global warming,” and also points out that every year, consumers in wealthy countries waste approximately as much food as is produced in all of sub-Saharan Africa put together. The recent FAO report found that the world’s wasted food contributes approximately 3.3 billion metric tons of greenhouse gases to our atmosphere, and that every year, 28 percent of Earth’s farmland is used to grow food that is never eaten. In more developed countries such as the US, however, consumer behavior is to blame for much of the food wasted. UNEP also notes there is “lacking coordination between actors in the supply chain,” and suggests stronger farmer-buyer agreements to help rectify the problem. 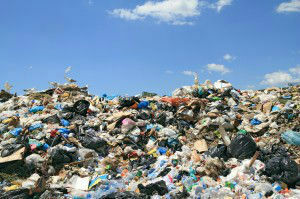 About 30 percent of all US food goes to waste every year. When doing your food shopping, buy only what you can use within a week, unless you plan to dry, freeze or can foods. If you plan to make meals in bulk and freeze them, make sure there is enough room in your freezer to store them all, and be sure to add a date label on everything that you freeze. This also goes for drying and canning. Survey your pantry, fridge and freezer about twice a month to see if anything is nearing its expiration date. If something is close to going bad, cook it immediately, and use it for dinner, lunches and snacks for the next day or two. Have too much to eat? Bring a home-cooked meal to a friend or neighbor! When cooking meat, try to use every part of the animal. If you don’t wish to eat every part, such as chicken gizzards or fish heads, for example, you likely have a friend who would love to whip these into a delicious pate or soup base – it’s worth it to ask around. Or, try out a new recipe yourself that celebrates these often-wasted parts. Turn leftover bones, as well as fruit and vegetable rinds, into delicious homemade soup stocks or sauce bases. Much of what remains uneaten on dinner plates can be chopped up and added to a ‘leftover goulash’ or ‘kitchen sink stew’ the next day. With a few spices, and maybe some lentils to tie them together (for only one example), these can make delicious meals and take care of uneaten food. If food still remains that cannot be added to a creative recipe, add it to a compost pile. This way it will at least help your garden grow. The FAO has also published a ‘Reducing the Food Wastage Footprint’ Toolkit, with suggestions to help reduce wasted food in all stages of the food chain. With so many hungry people around the world, as well as the escalating problem of global warming, letting our food go to waste is simply unacceptable. Hey Buddy!, I found this information for you: "Why One Third of All Food Produced in the World is Wasted". Here is the website link: https://www.thealternativedaily.com/third-food-produced-world-wasted/. Thank you.